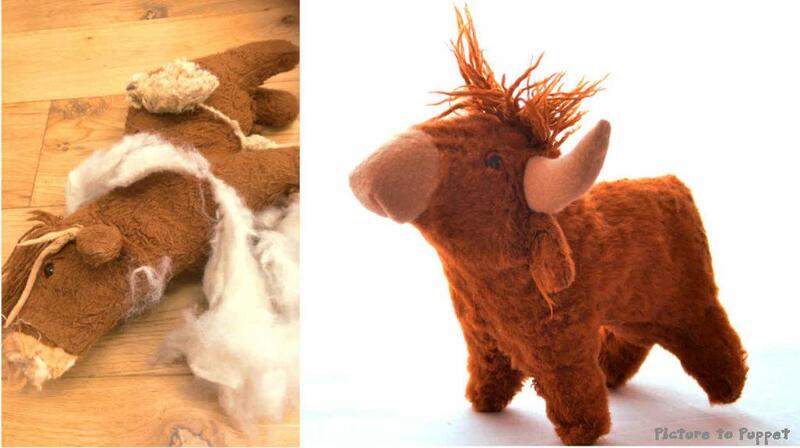 As well as creating custom puppets and soft toys, we also run a toy hospital. 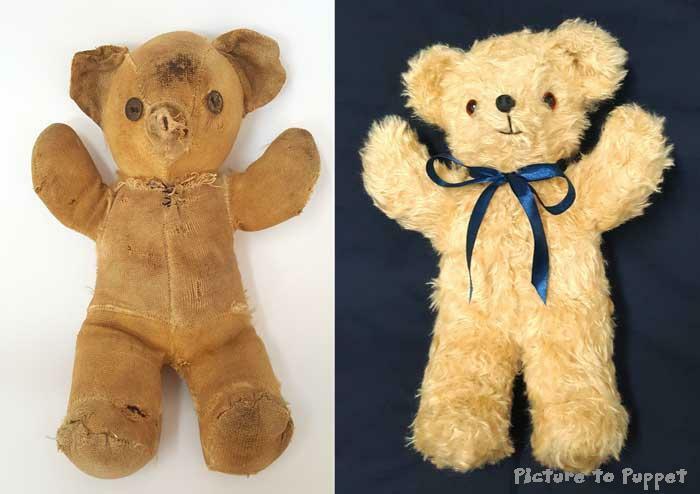 Whether you want your childhood teddy restored, or your child’s favourite toy is looking a bit too well-loved, we can help! 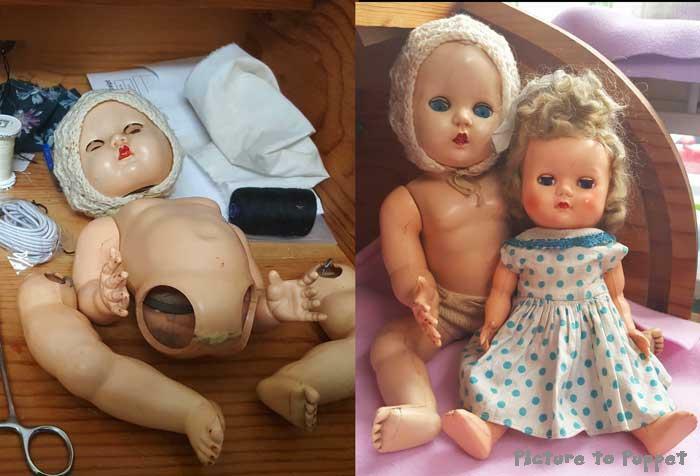 We offer a wide range of repairs, to both teddies and dolls including replacement eyes, noses and joints, fixing holes, and even new skin! When you bring in your toy for a consultation, we’ll talk through all the options to make sure you’re happy with what we’re doing. 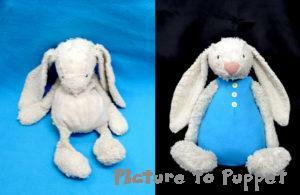 We understand how important it is to retain each toy’s unique appearance and personality, so we’re careful to keep their individual character while restoring them to health. 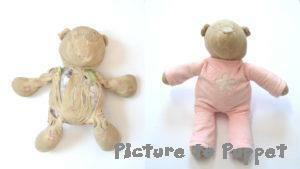 In addition to teddy repairs, we can fix all sorts of toys, from plastic and porcelein dolls to giant cuddly alligators! Visit our Toy Hospital website for more information and details about how to find us. 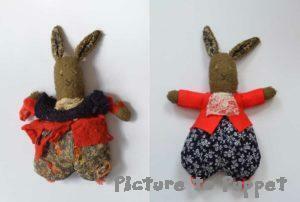 You can also see pictures of some of our repairs below, along with a price list. Leith Toy Hospital occupies the same studio space as Picture to Puppet, at 64 Constitution Street, Edinburgh EH6 6RR. Drop by Monday-Friday, 10-6. 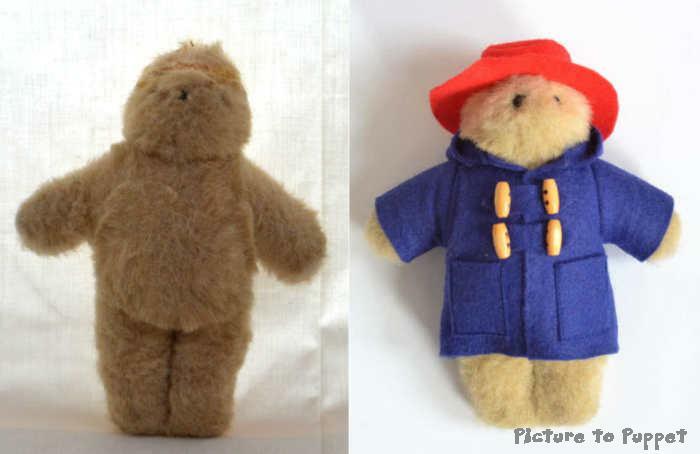 If you don’t see what you’re looking for or aren’t sure what your teddy needs, get in touch and we’ll be happy to help! On with his head: a dramatic case of joint repair! 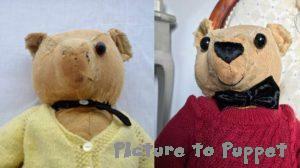 Replacement eyes, nose, mouth, and new clothes… read about Big Ted’s makeover here. Surface cleaning can make a big difference! 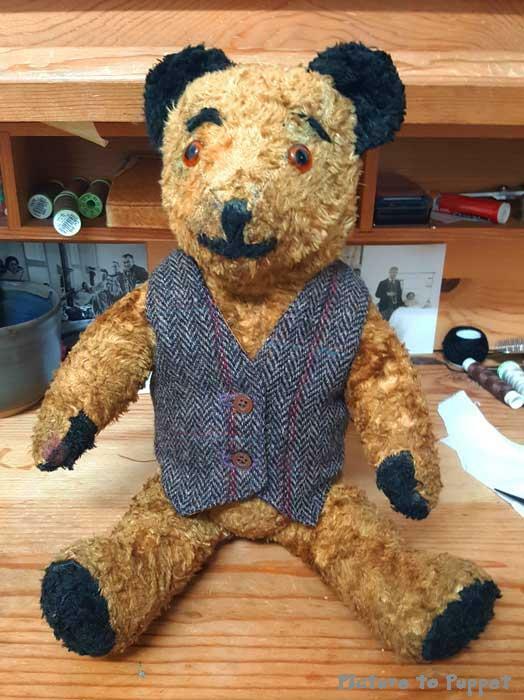 Ted got a dapper new waistcoat! Replacement clothes and repairs after a dog mauling… find out more about Bunny’s new lease on life here. Visit my gallery for some examples of my previous work. 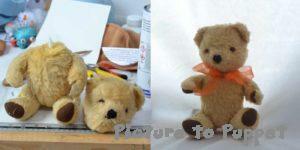 Also see Picture to Puppet’s custom cuddly toys!